The 2010 U.S. Go Congress formally launched Saturday as hundreds of go players gathered from across the country and around the globe. As players checked in at the University of Colorado in Colorado Springs, Colorado, the main playing area filled up with go players engaged in friendly games and there was even an impromptu simul as Qiao Shiyao 1P played a 3-on-1. 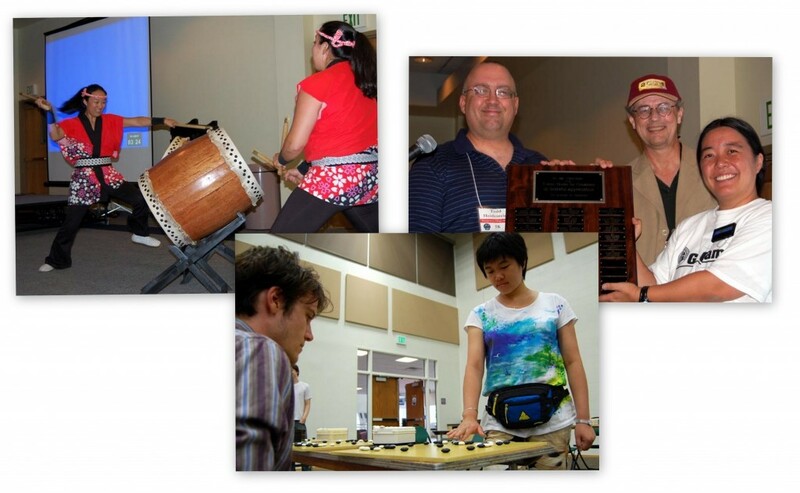 Later, there was a taiko drum performance, welcoming ceremonies – including the official Go Congress Director plaque transfer from last year’s Congress Director Todd Heidenreich to this year’s Co-Directors Karen Jordan and Ken Koester.